A work with dual functions: originally conceived as a floor-piece, this work takes literally the minimalist legacy of art executed for gallery floors. 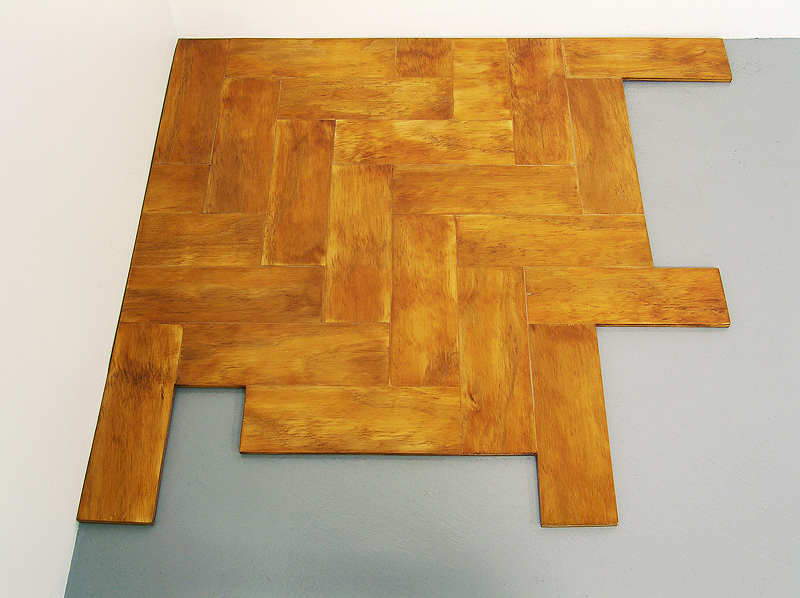 The work implicitly asks under what circumstances a Carl Andre floor-piece for example – daring gallery visitors to walk over it – could be considered just a floor? What is it about such work, literally functioning as a floor, that ultimately frees it from association with mundane experience other than its designation, ‘art’? 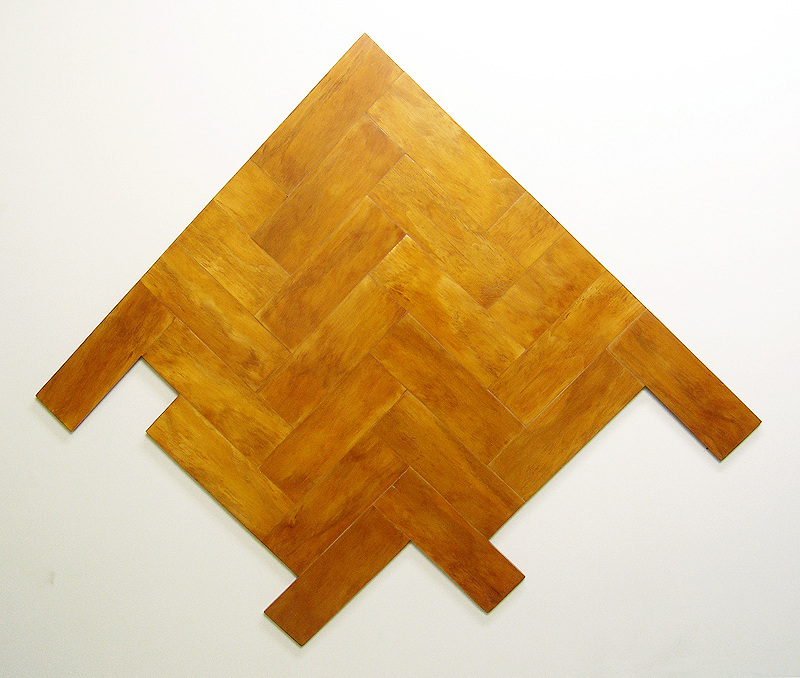 At the same time, ‘Floor Piece/ Wall Piece’ considers the herringbone flooring specific to classic ‘historical’ museums and galleries particularly in Europe. 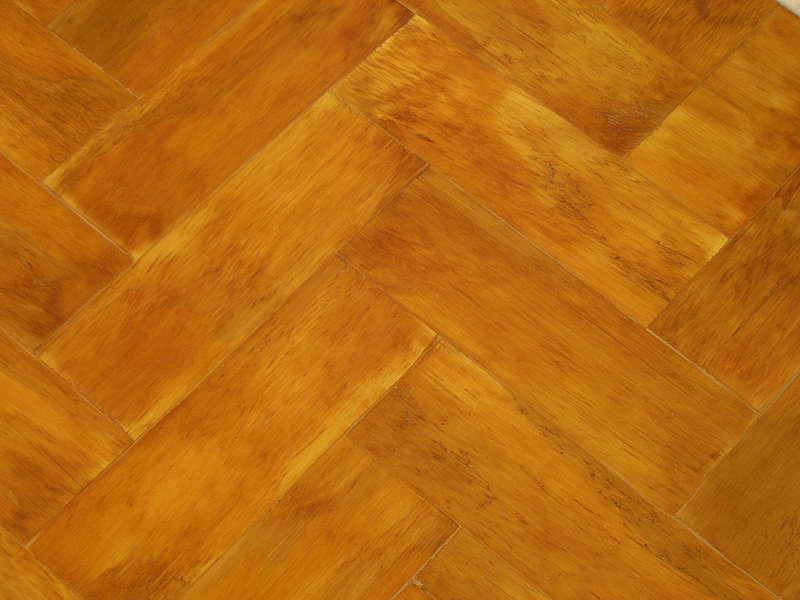 These floors, often suitably creaky, subtly signify a whole world of tradition and art veneration. In this instance, occupying the corner of a gallery floor, it as if the maker responsible for hand-cutting each individual piece of timber in painstaking homage to the ‘old world’ had simply given up. The task at hand appears to have been either too difficult or, in the end, too unconvincing. All that is left is a finished fragment never to be completed suggesting only what could have been. As a wall work, the piece recalls the hard edges and angular dynamics of Constructivism. Alternatively, it also absurdly proposes the commercial floor ‘sample’ moved to the wall, as a kind of do-it-yourself ‘ready-made’ painting.